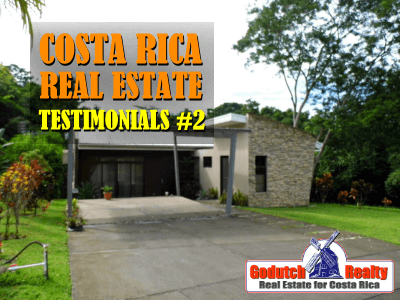 Satisfied buyers and sellers have offered their real estate testimonials for GoDutch Realty agents. This is page 2 of our these real estate testimonials. If you would like to see part 1, our latest testimonials, click here. For part 3, click here. Some people don’t believe in real estate testimonials as they think there are invented. Well, ours are not. we don’t have a need to invent anything. 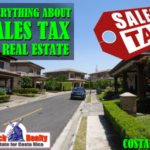 The purchase or sale if a property in Costa Rica is too important to invent anything. These pages are a testimonial of the seriousness and knowledge of our realtors. I also want to thank both buyers and sellers, no matter if they gave us a testimonial or not, a big thank you for your business. 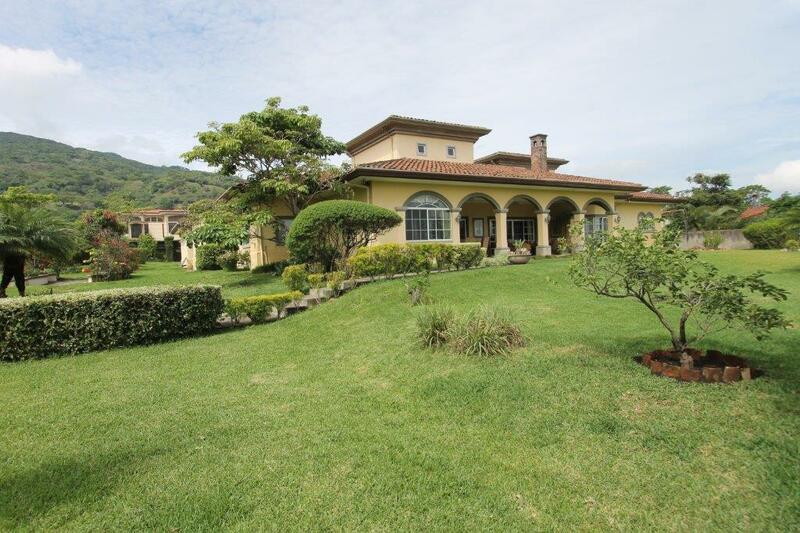 Our experience buying our home in Sarchi was the best transaction we have had in Real estate. We didn’t know 1 person other than Brooke in Costa Rica. She is still there for us anytime we have a question. Brooke also helped us get situated with banking and utilities. And, she knew the central valley better than anyone. Brooke also introduced us to other expats and has become a trusted friend for life. We trust her completely! I am writing to express our great appreciation for Marian Veltman, both professionally and personally. My wife and I recently completed the purchase transaction of a house in which we enjoyed the guidance and resources that Marian provided. I have been a realtor in the states and am quite opinionated on what a realtor’s role is in a transaction. Takes her time to help her clients get situated and acclimated to their new lives, addressing needs of theirs that don’t really bear on real estate but are part of everyday life. If someone is looking for a real estate agent in the Atenas area, they can do no better than Marian. You guys are so nice. 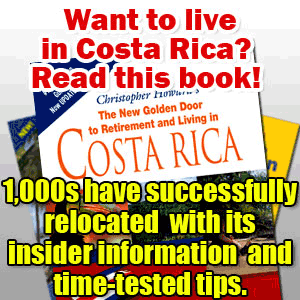 I was looking for a pathway to live in Costa Rica. I was looking at renting or buying a very small piece of land and building a tiny house. but I’m a starving artist and just getting my business growing so I would have needed to work and don’t want to be illegal. So I guess I’m looking somewhere else. You guys really know how to sell and how to be professional, people in this country have forgotten the meaning of service you guys are great. I’ll be in touch. Thanks again. Brooke did a great job in selling our San Ramon mountaintop home. She attended to details during a complex process while maintaining a professional approach which benefited both the sellers and the buyers. We had the great pleasure to have Marian, from Godutch Realty, working with us, and selling our property. Very smooth, reliable and efficient. My wife Maria and I like to say thanks for the sale of our house in Atenas B. Los Angeles. The sale was done very professionally. The very friendliness of Marian and the help to the Buyer to guide them in all their legal work. Marian, it was well done. Never have I experienced such great service in the real estate industry!! I was able to retire a couple of years ago on my rentals back in the states. Trust me, I have used many real estate agents over my years of buying and selling, none of them compare to Brooke Bishop in any way! I came to Brooke on two separate occasions with a property (for sale by owner) not listed on her site, and in both cases without blinking an eye, she made all the arrangements to see the properties. In one of those cases, I just loved the house, it was everything I hoped for and more……… then, Due to Brooke’s knowledge of the laws here, she advised me to give her some time to check out the legal boundaries of the property. She saved me!! Had I bought that house, I would have spent many years in court and many many thousands of dollars!!! Now, that is my home. Brooke was clearly an expert on the process. From negotiation to transferring money to closing, every step of the way… Brooke told me exactly what would happen, and what it would cost. What is amazing is, the service continues…… after the purchase, I had to rent it out for 19 months, all of which was handled by Brooke. When I came time for repairs, changing utilities to my name etc.. Brooke in person, every time. Never have I experienced such great service in the real estate industry!! Thank you, Brooke, for everything!!! An above and beyond effort! We wanted to drop you a note to let you know that we got moved into our new house in Atenas. 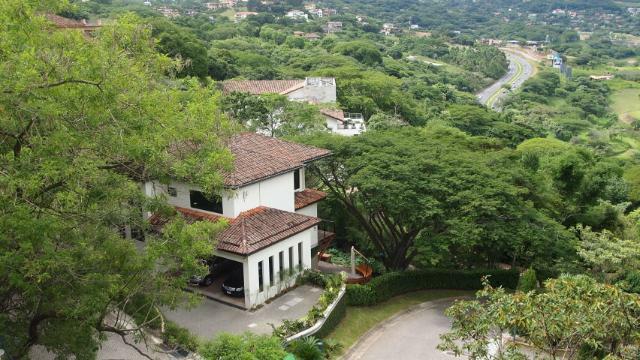 We are very happy with our decision to move to Costa Rica from the Washington, DC area. 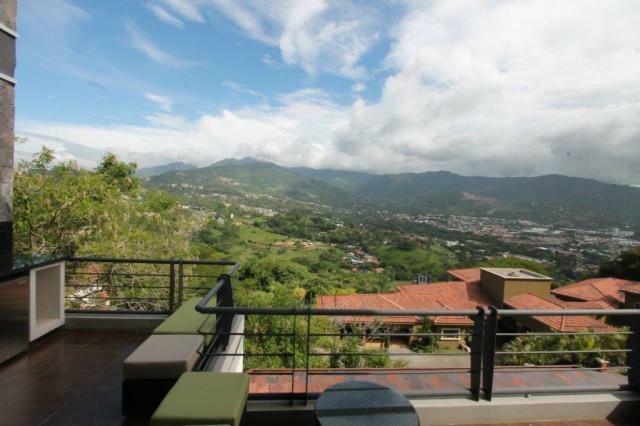 Our house is beautiful and the people of Costa Rica have been great! We would also like you to know that we are very happy with our realtor, Rudy Mathews. Rudy was so helpful in the whole process of finding our house and helping us get settled. He definitely went above and beyond! Rudy has a great appreciation for the experience you go through when you buy a house in a new country. 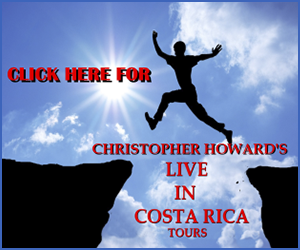 He was able to guide us through the twists-and-turns of moving to Costa Rica. He is not only a great realtor but he has also become one of our friends. We have to say the same for Marian. She has been so helpful to us after we got moved in. Marian has helped us find our way around Atenas and even helped us get all of our utilities hooked up. Again, an above and beyond effort! I have to give both Rudy and Marian high marks for their professionalism and eagerness to help their clients. It would be great if all businesses were able to provide this level of service. Congratulations on having such an excellent company and having such great professionals working for you. Thanks for everything. We hope you stop by to see us next time you are in Atenas. My husband and I were extremely fortunate to have been given Brooke Bishops phone number from GoDutch Realty. We were having a problem where we were staying and the realtor we had lined up was less than helpful. We called Brooke and she promised she’d find us a place to stay before the day was out. She said no way would she leave us in the situation we were in. Brooke came through with flying colors. She found us the perfect place, a nice one bedroom casita owned by two expats who have been in the country for about a year. Since we were in Costa Rica to decide if we wanted to retire here, it was our great good fortune to now be under Brooke’s care. She really listened to our needs and wants. She showed us the perfect properties for us at the right altitude (for weather preference). Brooke also was a jewel with the purchase, working with our lawyer and the sellers, hiring a Gardner and taking care of everything while we returned to the US to prepare to move. I could go on and on, a year later she is still helping with signing up for Caja. I have known many realtors in my life, but I have never met anyone who so lovingly gives of herself to her clients. 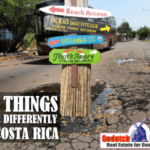 Other than paying the bill…..
GoDutch Realty’s services were DEFINITELY an important factor in my decision of moving to Costa Rica. Brooke’s clearly sincere and true portrayal of buying in CR extended way beyond the norm. Her friendship was definitely a factor in my purchase. My experience with Brooke was phenomenal. Obviously, we have our birthplaces as a very common denominator so in effect we speak somewhat the same language. She has been an inspiration to me in committing to my purchase and has given me so much in the way of her experience of living and breathing CR that I could not have gotten elsewhere. The property purchase transaction was very well done – concise, easy and to the point and I am very satisfied with the post-sale services Brooke gave me. Other than paying the bill, I cannot think of anything that Brooke could do more than what she has done and is doing. Thanks again for everything you’ve done for us to make this house purchase such a smooth and pleasant experience. We know how much behind the scenes work you did to ensure everything was looked after to make our Atenas real estate purchase stress free. We wish you and your family a very Merry Christmas and all the best in 2015. 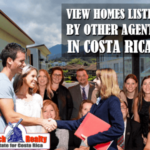 We would like to let anyone know who is thinking of moving to Costa Rica, that our favorite person and friend to contact for information and real estate needs is Brooke Bishop with Go Dutch Realty. Especially Grecia, Naranjo, Sarchi area. And I’m sure she could help you anywhere in Costa Rica. We met Brooke around 3 years ago when we were reading, dreaming and trying to find out anything we could about Costa Rica. We found Go Dutch Realty and saw some houses we thought we would be interested in if we were to move there. That’s when we found out what a sweet, patient and extremely knowledgeable person she is. That’s when we started emailing Brooke with every question about Real estate and any question we could think of about Costa Rica that had nothing to do with real estate. And she answered every question quickly and patiently. 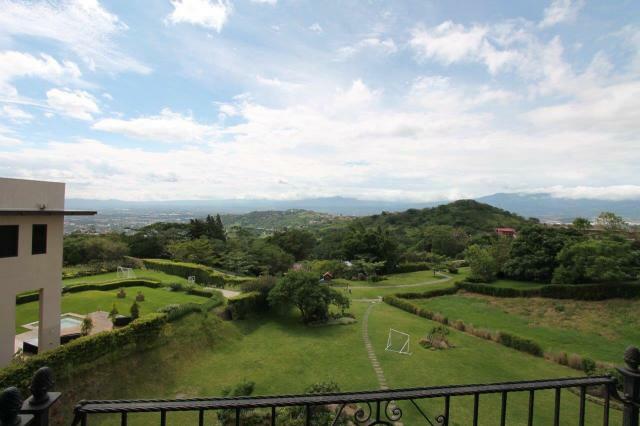 So we decided to finally go to Costa Rica to look at some of her listings. Brooke met us and for two days took us all over. It was more like our friend picking us up and showing us around than a real estate agent. We made an offer on a house in Sarchi and after Brooke did a lot of talking for us to the owner, we decided at the last moment to decline the offer and not purchase anything. So you would think after all that she would ignore us. I would have. But not Brooke she said that’s part of the job and still answered any other questions. A year later we told we were coming back and if she would show us some houses. And as always she was very nice, met us and took us around looking again. She said she had a house that, knowing us so well, we would probably like. And she was right. Now we are living in San Isidro de Grecia. And Brooke still keeps in touch to help with anything we need. Like helping us change utilities to our name, bank account and even taking us and showing us where Pricesmart and Walmart are. Well, I guess you get the picture you can’t get a better PERSON or Real Estate Agent then our Friend Brooke Bishop. There is a handful of English speaking real estate agents in Grecia, however, it’s quickly apparent that there is only one worth working with: Brooke Bishop. Brooke gets it. More important, she gets it done. We’ve been working with Brooke ever since we decided to move to Grecia, and are now in the second house Brooke has helped us call home. Both times Brooke not only worked tirelessly to get us the house we wanted, but was incredibly helpful in navigating the unfamiliar world of real estate in Costa Rica and finding sources for every need, and always with a smile. Once you work with Brooke not only will you find the perfect home, you will have a new friend for life. How I found my new home in Grecia went like this. A friend of a friend in the Bahamas had a friend in Costa Rica. We linked up. One of his friends was a realtor who had a real estate agent friend in Grecia: Brooke Bishop. 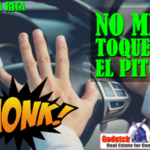 Brooke is an American who has been selling homes with GoDutch Realty for six years. I checked her listings and – lo and behold! – there was a home within my budget that instantly zinged me. I jumped in Brooke’s SUV and off we went. As we toured the house, I quickly realized that Brooke was a pro to the core. Meticulous and prepared, she knew the property inside-out and had ready answers for my blitz of questions. More importantly, she’d done her homework and found out that the owner wanted to sell immediately or he’d let the house go into foreclosure. This vital fact was missed by other agents who assumed, wrongly, that the house was off the market. Suddenly, timing became critical. Over the next couple weeks, Brooke lived up fully to her reputation of being “very honest and with the utmost integrity.” It was a true pleasure working with her as we covered every aspect of the whole procedure: negotiations with the owner, meeting the local lawyer, formation of an LLC to avoid probate – all tactfully handled without any pressure, just sensible options for how to make the deal happen. And with an infectious sense of humor, no less! But I had a problem. I needed to sell my Vegas home before I could buy the Grecia house. Brooke, being her resourceful self, offered a solution: get a loan, buy the house, then rent it out until I could sell the Vegas home. This way the Grecia house would remain occupied and even generate some income. That plan is working and enabled me to seize a rare opportunity. But Brooke did more than make it happen. At every opportunity she offered candid, invaluable advice, contacts, shopping tips, utilities, and banking info, and helped me get a post office box, just to name a few extras. 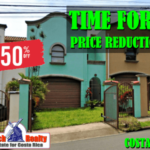 We had already decided to move to Costa Rica, but Brooke and GoDutch Realty certainly helped make our decision as to where in Costa Rica a lot easier. Brooke has been very helpful and knowledgeable. She seems to know everything about the Grecia area and has gone above and beyond in helping us find our house. It was the easiest closing ever. Brooke and the attorney, Pablo, took very good care of us. We are very satisfied with the services rendered. Brooke has gone with us to open a bank account, translated for our gardener, introduced us to her family and other ex-pats in the area, in general, she has become a very good friend. Other than paying for our house, I can’t think of anything else Brooke could have done for us. Could you unpack for us?!?! As a last favor, could you unpack for us?!?! Thank you again for all your professionalism! You were so helpful—-just perfect for the way we like to work. I’m keeping my fingers crossed that the seller accepts our offer, but if not—if this particular house is not meant to be, we will be pleased to continue working with you to find our spot! Thanks for all your help! Look forward to seeing you again. Have a great time with Christopher on your trip! Below, I will copy you the letter to Miguel. Tom and I have truly enjoyed this last week at your beautiful home. It was just perfect! We absolutely love the view and used the pool & jacuzzi every day. Your well-appointed kitchen & laundry facilities were such a wonderful aspect of renting this particular home—-we prefer to “cook in” rather than eat out all the time, and really appreciate the opportunity to wash clothes too since we pack light! Now, to the most important part—–you have recruited such an incredible team to keep this home so warm and inviting! Marvin & Andrea keep the grounds so impeccably spotless and lush. In addition to your security system & gate, Marvin provides an added measure of security, as you well know—-he is aware of the gate opening and closing every time and is vigilant about caring for your property while staying completely unobtrusive. How lucky you are to have Aad & Marian there to manage!! They are the nicest, most accommodating professionals you could have found —they were so responsive to our every need! When the dishwasher was inoperative, they were there the very next day. They were so helpful in providing information about the area, and all the services they offer—transportation, tours are such a tremendous compliment to enjoying a stay at your home! I will definitely place a review on VRBO to that effect, and am happy to write a testimonial if you ever need one for advertising purposes! We would also like to thank you for putting us in touch with Rudy Matthews! He was incredibly helpful in helping us get to know the area in order to make an informed decision. As you know, he is patient and helpful—-not a high-pressure kind of real estate agent! In all our choices, we prefer a professional who takes a consultative approach so Rudy was just perfect. We plan to stay in touch with him—we have made an offer on a home here in Atenas, but if this doesn’t come to fruition, we will work with Rudy to find our home-away-from-home. Thank you so much for connecting us—-he’s the perfect fit for our style! Thank you for sharing this wonderful little piece of paradise with us, as well as your all your professional connections that made our stay so relaxing!